From now on, a standing offer: points for every reference you can name. 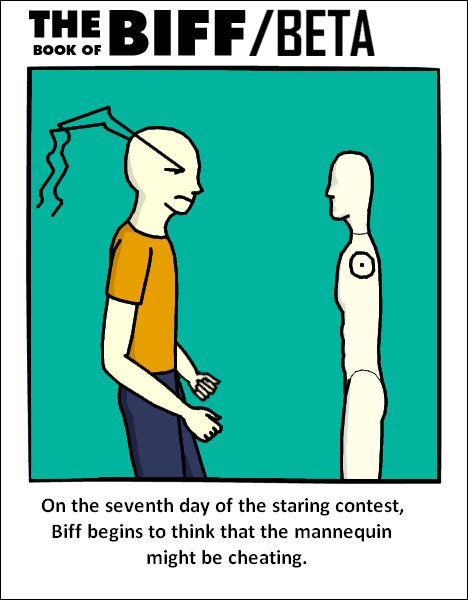 Today's is in the style of The Book of Biff, by Chris Hallbeck, a hilarious single-panel comic about a super-human, yet somehow sub-human anthropomorph. It's really funny, and you should look at it. Go now. I've got a headache, a good way to start off the University term, so I'll retreat to my bedroom now.